When I celebrated my birthday not long ago, Anne Schweizer asked what I what like to have as a present. I replied, "Something geeky is always welcome," and I added what everyone else at SJ Games most likely does: "But please note: I already have most of the mainstream geek stuff." 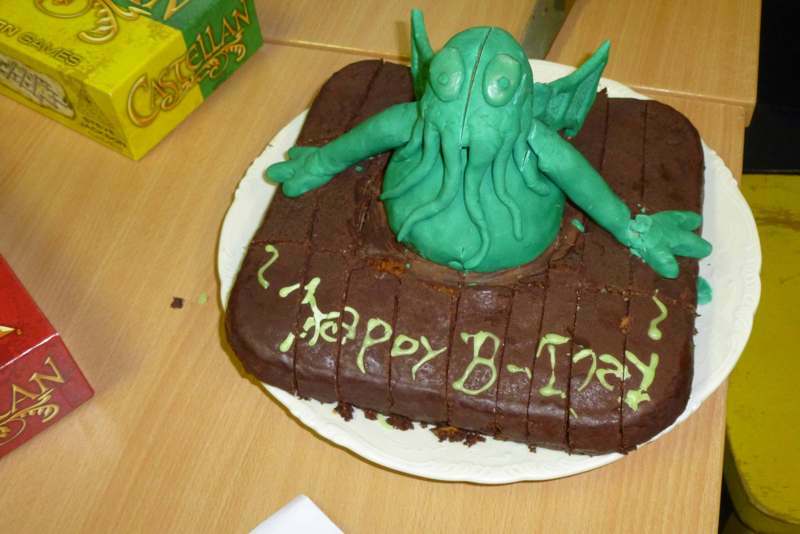 So she created the Great Cthulhu Cake, and she was so right. This cake is -- or was -- amazing. 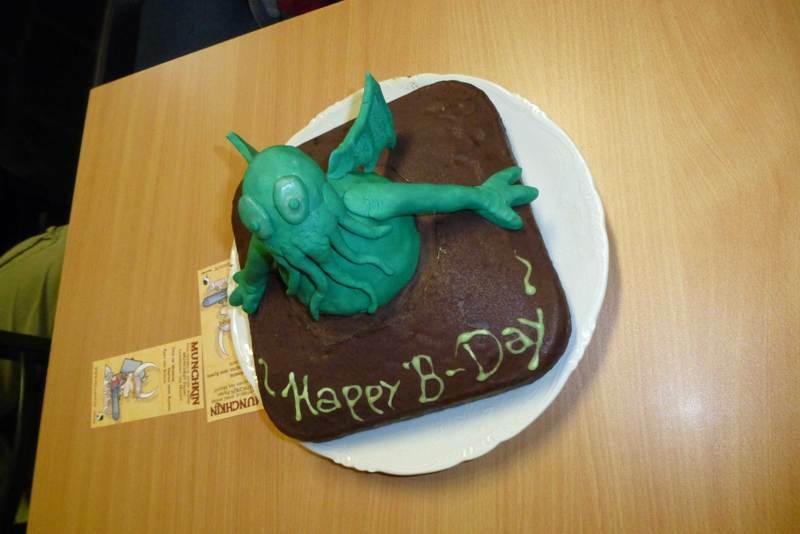 Although it looks like Cthulhu, it is also a cake, and a cake needs to be eaten. 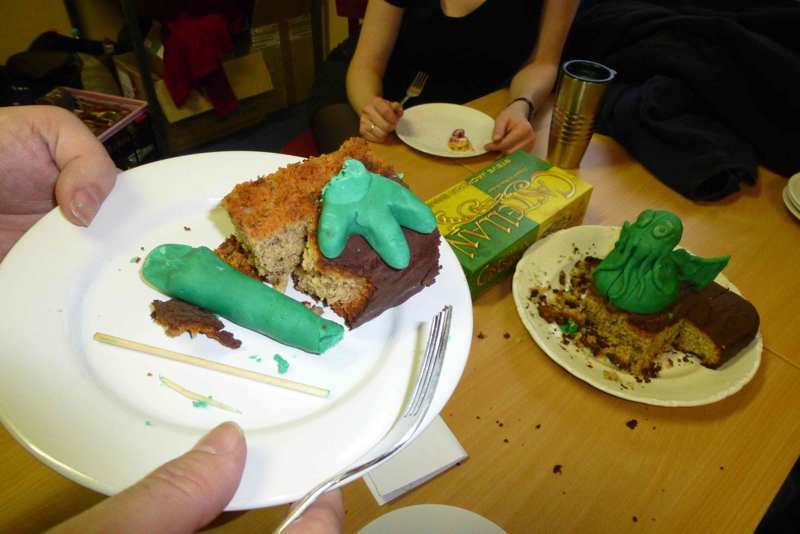 I decided to take the Great Cthulhu Cake to the Morpheus Convention, which is the traditional opening con of the new year's convention season in Germany, and sacrifice it there with the fellow gamers. Here are some pictures of our blasphemous sacrifice ritual. Thanks again to Anne for this great and awesome present! 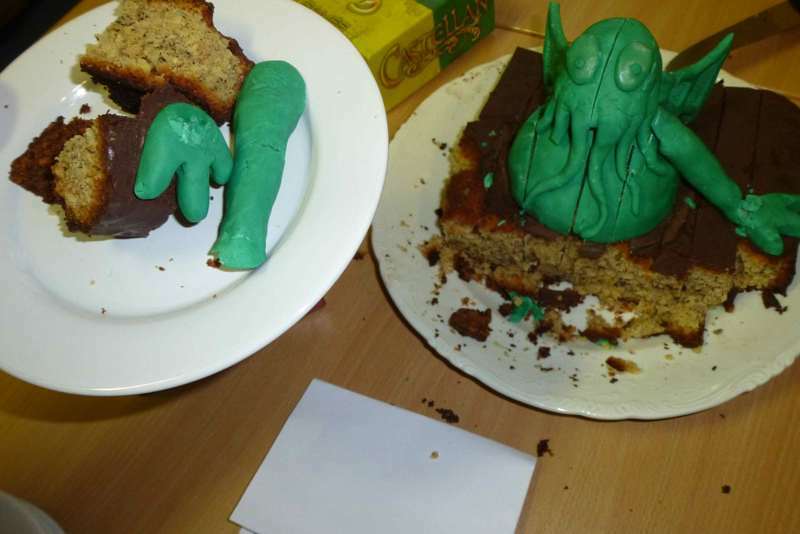 And yes, Cthulhu tasted great, and had hazelnut flavor!